A domain (i.e., domain name) is a unique identifier on the Internet. It is your online "Internet address" at which your email or website is displayed. An example of a domain name is www.active24.co.uk. Each domain name is associated with a unique IP address. Computer servers exchange information via numeric IP addresses. Your website and email address associated with your domain name are therefore only visible to your specific domain name. Think of a good domain name. Register the domain at an internet service provider such as ACTIVE 24. Pay the invoice for domain name registration. How do I become a domain owner? The bill for the domain name registration fee is paid. Your domain registration is confirmed by an e-mail link to the domain registration business. IMPORTANT: It is possible that a domain name is claimed at the same time at different domain registration parties. In the domain name market, "first come, first served" also applies. The person who first paid for and confirmed the domain name registration becomes the domain holder. It is therefore important to pay for your domain and confirm by e-mail as soon as possible. Once the domain registration process is completed, you are the domain owner. Domain registration ensures that no one else can use your domain name during the paid registration period. You remain domain owner as long as you have paid the registration fee. After that period you can choose to extend the domain registration. The domain address is protected for a certain period. This is usually 1 calendar year, depending on the business domain registration where you register the domain name. Before the end of the domain registration period, you will automatically receive a pro-forma invoice for domain extension. At that moment, you can decide to renew your domain registration or to release the domain name to the domain market again. If you do not pay the pro-forma invoice on time, the domain name first goes into quarantine and will then be released again on the domain market. As long as your domain is active, no one else is able to register this domain name. IMPORTANT: Many good domain names on the market are already registered. 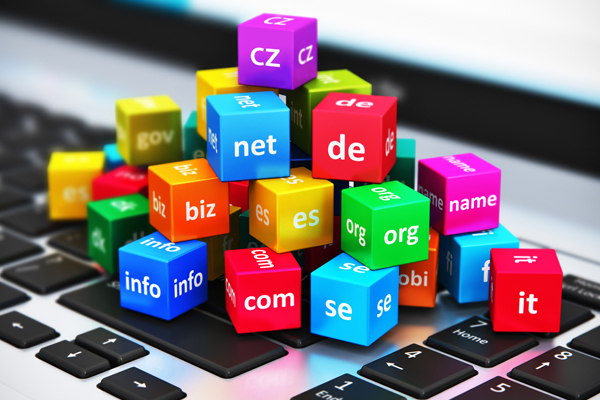 Therefore, first check the availability of your desired domain name before you create your website. Select the domain name extension (the domain name after the last point). You'll also find free alternative domain names to choose from. TIP: Is your dream domain already taken? We will help you to find a suitable domain name, get expert advice on registering your domain name, move your existing domain, email, hosting and website to ACTIVE 24.